Why do you think programs like SU-CASA are important? I believe SU-CASA artists help to bring something new and enhance seniors’ daily lives by bringing their artistic knowledge and skills. During my workshops, my students were challenged to work on new projects every week and to expand their creativity. I was very impressed by how much they have improved on their ideas and skills. Many of them seemed to discover their hidden talents! What was the best thing about teaching in the SU-CASA program? I had many amazing moments with my students! It always felt so rewarding when I saw my students’ eyes lit up after completing their projects. Many of my students shared with me that my classes inspired them and triggered them to take their painting skills in new direction. Some of the students asked me to give them extra materials so that they could work at home. My students improved and expanded their creativity and produced amazing pieces during the last half term of my workshops. I am proud to have had what feels like such a positive impact on their lives. What did you work on with your students? My senior students were very skilled at traditional oil painting. But I wanted them to expand their creativity beyond the traditional oil painting. 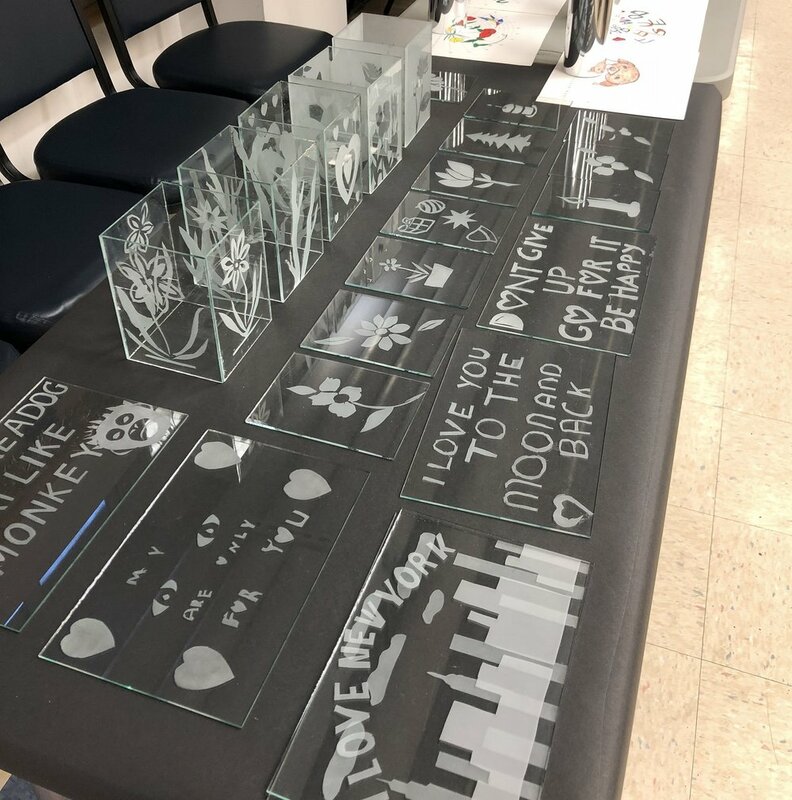 I taught them how to make art with glass and they were able to learn enameling and sandblasting, as well as being able to apply their previous skills to painting on glass. As they made progress, I gave my students advanced projects that dealt with transparency of glass, illusion, and creating the effects of glass and light such as shadow and mood. I would tell another artist that SU-CASA is an amazing program that connects artists and seniors. I believe that art can have a very positive impact in seniors’ lives. I didn’t expect that my abilities could help them in the ways that they did. What I learned through the program opened another door in my life as well when it comes to teaching older adults. I would definitely encourage another artist apply to SU-CASA program.